Cool - Quiet - Low Power Seagate Pipeline HD® 500GB ST3500312CS 3.5" SATA2 Hard drives are designed to deliver reliable 24×7 operation - optimised for low power consumption, quiet operation, durable, reliable and smooth video streaming. 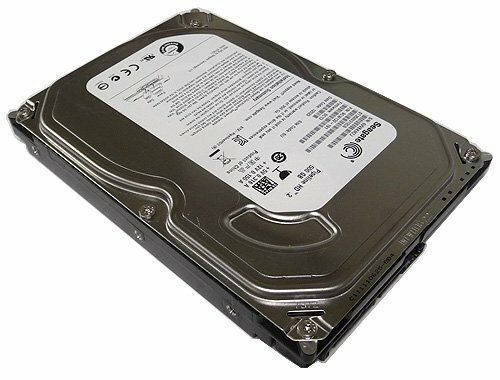 Seagate Pipeline HD ST3500312CS 500GB 8MB Cache SATA II 3.0Gb/s 3.5" Internal Desktop Hard Drive features innovative perpendicular recording technology. Seagate Pipeline HD Series hard drives deliver superb performance, efficiency, speed and durability for all your application needs. Magnetoresistive (TMR) recording heads and EPRML technology, for increased areal density. Native Command Queueing with command ordering to increase performance in demanding applications. Passed Factory Diagnostic Software + RE-CERTIFIED by State-of-the-Art software - Full "Sector-by-Sector" test to ensure best HDD quality! ZERO Bad Sectors!